Welcome to Texas Jelly Making. I have created this blog to create dialog among those interested in jelly making in general, and specifically jelly making in Texas. I made jellies, jams, preserves, and butters of every possible type of fruit available here in Texas. If you have suggestions of jellies I haven’t made or sources of fruit that I haven’t utilized feel free to comment. As a matt er of fact, feel free to comment on everything. I am very interested in what other people are harvesting and the general area in which they are finding fruit. Let us know with your comments. Be sure to check out the other posts. Help, my dewberry jellly didn’t jell. Made it the same way two weeks ago and came out perfect. Any suggestions how I can fix? A very common problem when making jelly and one that I have experienced more than once. The best advice I can give you is to follow the advice on the pectin directions for remaking jelly. This will be specific for the type of pectin you used. It will tell you how much more pectin to add and how long to boil it. Some methods also have you adding lemon juice (for added acid) and also white grape juice. I could give you directions for the pectin I use but I don’t know that is what you used. If this doesn’t help you write me back with the specifics of what you used and I will give you further help. Now, the bigger question is what can you do to not have this happen the next time. I add an additional 1/3 more of pectin to each batch I make. I also boil jelly for 30 extra seconds. That makes for a much firmer jelly. Of course if one is not careful one will get a jellybean consistency if one boils it too long. I hope this helps what can be a frustrating part of jelly making. I one time went 11 batches of jelly without having runny jelly and then had several batches in a row be runny. The no-sugar needed pectin I use does make a runnier jelly than regular pectin but allows me to use less sugar. But by adding extra pectin it becomes firm (most of the time). I thought I had 64 ounces of juice in the pan but my husband reminded me when I was trying to figure how what I did wrong that I had 1 gallon of juice. I used the powdered Surejell and should have used two boxes. Thanks for the reply. Wow oh wow! What a fun find! I cannot wait to read through your blog. I’ve made strawberry, black cherry and blackberry freezer jam, pumpkin freezer butter, apple butter and orange marmalade. The orange marmalade was my attempt to use up some unimpressive oranges I bought from the Valley. The marmalade was equally unimpressive. I had a hard time getting the peel sliced thinly enough and I actually cooked the marmalade too long. I had to warm it up when i wanted to use it to get it runny enough to spread. I see prickly pears all the time, but I’m not really sure what the rules or etiquette might be regarding gathering from plants in public locations, so I don’t. Given the drought in Austin last summer, I’d be tempted to pull up every inch of grass in my plot of suburbia and plant a variety of cactus, but my son is just getting to the play-football-in-the-yard stage of life and I suppose cactus doesn’t make for a comfy endzone. Thanks for creating such a lovely blog. I’m still figuring things out, but I just started blogging over at mytexastable.wordpress.com. When I get a little more settled in my online digs, do you mind if I link to you? Thanks! I am glad you enjoyed the blog. It has been a lot of fun to prepare all the jellies and jams and then write about them. As far as prickly pears and other fruit I harvest fruit from the fence line to the road. I don’t harvest if it is directly in front of a house. Beyond that everything else is fair game. Vacant lots provide fruit for my jams and jellies too. And the amazing part is no one even notices when I am harvesting fruit. My front yard, to my wife’s dismay, has been planted in cactus, barbados cherry, crabapple, dewberry, and beautyberry in order to provide fruit. The backyard has fig, papayas, Mexican persimmon, mesquite, Mexican plum, blackberries, groundcherries, and a vegetable garden. You certainly are welcome to link to Texas Jelly Making. I hope you have as much fun with your blog as I have had. Sounds great. Maybe Chris and I can attempt this when they are in season! Pam-I never expected to run into you on this blog. Tell Chris hi for me. I can’t believe Chris is in High School! How time flies. If you look at “What can I make into jelly now in hot Texas?” you will see fruit that is currently ready to make into jell or soon will be. You should try one of the jellies. They are a lot of fun to make. I have been looking to find a homemade strawberry jam for a while. I tried one at a friends house and fell in love. It was delicious. I am very fond of fresh strawberries and not a fan of anything store bought even anything strawberry flavored. There is just too much sugar in them. It has to be fresh. Yes, Chris is excited about high school. It is his second day but has been there for a month for band. He plays Tenor Sax. We talk about you often and wonder how you are doing. I had lost your email during our move so we were rather upset about that. Well hope all is well. A lot of canning recommendations have changed in recent years from the practices of when I was a young person learning to can. I am glad you asked about this. I have a freezer full of jams, jellies, butters, and vegetables. For me, freezing is so much easier and safer than canning. I was wondering if you had ever made any fruit curds with your fruits. I too like to make jams and jellies, but recently started making curd with some different fruits like banana curd or lime-coconut curd. They are faster than making jam, though they don’t keep long. I also wondered if you have ever canned the jams and/or jellies in your recipes. My freezer has limited space. I would think that a typical 10 minute process time would work though, shouldn’t it? My daughter and I will be trying your mulberry jelly recipe later this week. Thank you for visiting Texas Jelly Making. I have eaten lemon curd that a buddy made but have not tried it myself. At this point my jelly making is pretty fast, except for the picking of the fruit. Since I split the jelly making into steps, separated by months, it lessens the impact. First I pick the fruit. 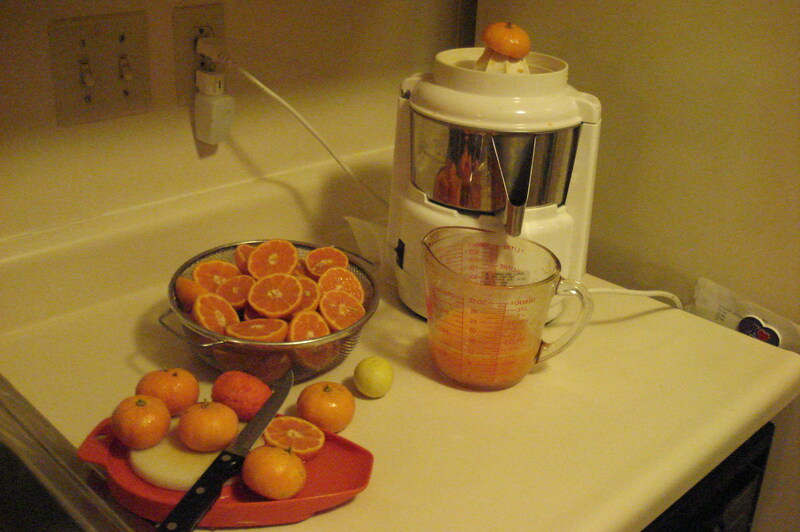 Some times I freeze the fruit but other times I continue with processing the fruit into juice or pulp. I then freeze the juice or pulp. Then when the weather is cool I make the jelly. As far as the processing time for the water bath just follow the standard directions. Good luck with the mulberry jelly. It is one of my favorites. I like the ease of picking mulberries since I just shake the fruit onto a tarp. Send us a picture of your jars and I will post it. Do have a recipe for Ataulfa mango jam or jelly? If I were to make this recipe I would use less sugar and then freeze it instead of canning it.